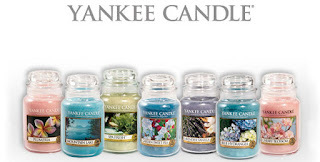 One of my favorite candles is the Yankee Candles. 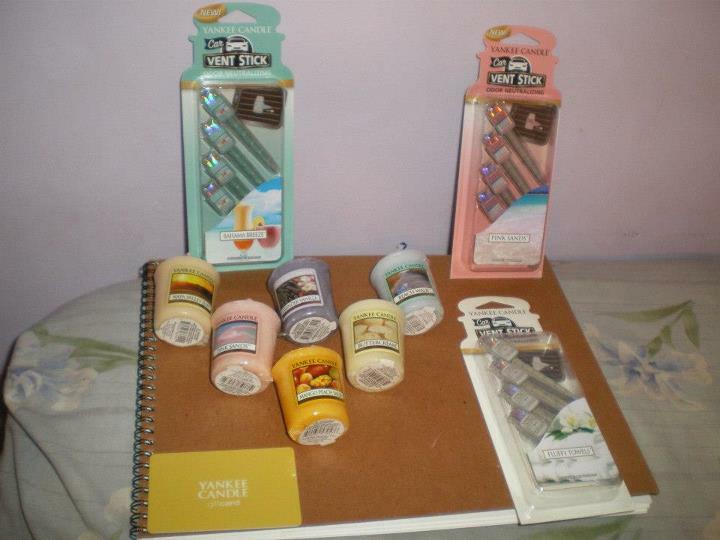 They have a variety of scents that I love. The first time I was exposed to a Yankee Candle was I received one as a gift during the end of one of my internships, and I have been hooked ever since. Good scents do come at a cost, since Yankee Candles tend to be a bit pricey. A few months back, the Points program at my bank had come to a close, so I had all of these points which I hadn’t redeemed yet. I decided for redemption to get 2 Game Stop Gift Cards (total $20), 1 AMC Gift Card ($25), 1 Camera, and 1 Yankee Candle Gift Card ($25). I gave the 2 Game Stop Gift Cards to someone special, since he’s the one who normally gets video games and Microsoft Xbox points; I figured they would come in handy. I haven’t used the AMC Gift Card Yet. 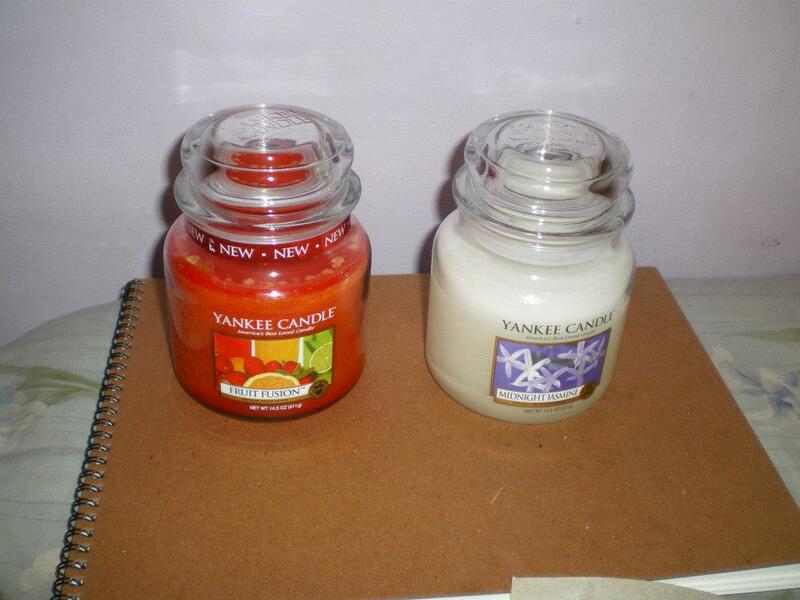 I did decide to use the Yankee Candle one, since I happened to be in the vicinity. Since I don’t burn candles often (I burn incense more than candles), I wanted to indulge in some of the sample candles which were available (I got 6). It was a nice mixture of floral, beach, and fruity. I also wanted to indulge in some much needed scents for the car, so I took advantage of the 3 for $10.49 deal on the car vent fragrances. I used the gift card to pay for these items. I didn’t realize so many new scents had come out. One of the favorite new scents which came out was the Fruit Fusion. I decided to get a medium sized one of that along with the Midnight Jasmine. There was someone else shopping there who gave me a coupon for a buy one medium, get one free, which was why I got the two medium. I opted to pay for these two out of pocket.